Trying out the chapter's new hydraulic spiker. New ties have been inserted in all three switches. The new spiker has increased productivity astronomically! Photographed by Steve Harrison, November 21, 2009. Added to the photo archive by Winslow Goodier, November 25, 2009. 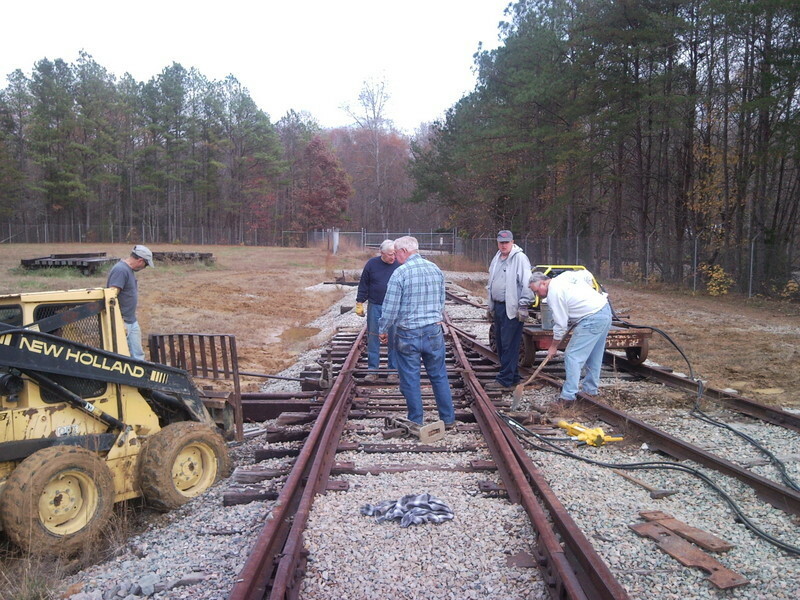 Railroad: NRHS Old Dominion Chapter.